The rating scale is insufficient -- Peter Mulcahy merits 10 stars. I've been traveling all my life and toured and been toured all over the world. The adventure in London's East End that Peter staged for my wife and teenage kids was as fine an investment as I ever have made. 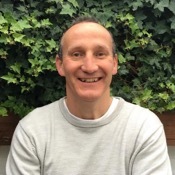 Peter's authenticity is grounded in his love of learning and history and his passion for London's culture and people. Feed your brain. Fill your eyes and ears with a true stories told by a master of the craft. Have fun! TOUR GUIDE RESPONSE: Thanks so much Bernard - it was a pleasure and certainly tremendous fun! Hang onto your hats! Booked a tour with Peter to get a quick look at the sites of London and was not disappointed. He picked us up right on time and it was off to the races! Peter is very knowledgeable and has a great wit that kept us informed and entertained. I had let him know that I was a Beatles fan so outside of the "must see" London attractions we hit a bunch of spots that were all a part of the 60's music and entertainment scene. What a thrilling day! He gave us a great custom tour! Peter was absolutely phenomenal! He made the tour very personal. His knowledge of the sites and their respective history was vast as well as entertaining. He comes highly recommended. We had an amazing tour with Peter! He customized the tour to our interests, while also incorporating the main attractions in London. Peter has an enormous amount of knowledge and pointed out interesting facts throughout our tour of the city while engaging the children in Q&A. Peter knew where to park, where to enter/exit tourist sites, handled family photos (big plus!) and even squeezed in 'surprise attractions' during the day. We experienced so much of London that we weren't expecting! Peter is Google with legs. Seriously. This guy has forgotten more about world history than I could ever hope to know. My son and I only had a day in London, and wanted to make the most of it. In research, I stumbled on this site. As soon as I read Peter's bio, I knew he was going to be incredible. He took us on a fast-paced, info-packed journey through the streets and alley-ways of London, weaving world history with American and our family History. A+++ Peter is a true pro. Book without hesitation. TOUR GUIDE RESPONSE: Thank you for the lovely comments - I'm so glad you enjoyed the tour! Have a safe trip home. Peter M was just great. I have him a few suggestions the night before and he came through with flying colors. We saw Jewish Heritage sites and Rock and Roll History sites and he was so knowledgeable and enthusiastic. He was a superior guide and we would highly recommend him. TOUR GUIDE RESPONSE: Thank you for the kind words - it was my pleasure showing you around! Peter gave a terrific tour! I set it up for my husband and 3 teenagers for a day I needed to work. They came back raving! He made it fun, informative and unique. He catered the agenda to their interests. 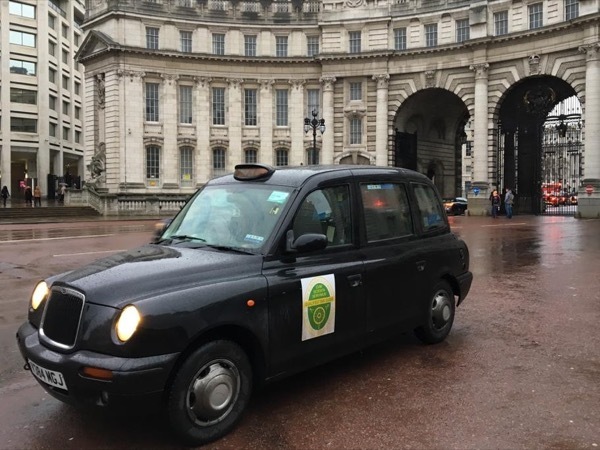 With him driving a taxi, he was able to get close to key sites which saved time. They really enjoyed the entire day -- but their favorite part was the trip to the boxing ring and getting the opportunity to taste a new sport. It was awesome! Thanks, Peter, for such a memorable experience! Highly recommend! TOUR GUIDE RESPONSE: Thank you so much - I'm really glad they all enjoyed the day - I did too, it was a pleasure to meet all of you! A most joyous and memorable day with Pete. From the site of Tyburn Tree to The Mall, St Clements to St Pauls, William Wallace to Arthur Phillip and much, much more. We couldn't ask for a better guide, entertaining explanations and the sheer wit and cheek made for such an enjoyable experience. Peter's knowledge is amazing, with the ability to show us things spur of the moment and to keep us engaged throughout the tour was true craftsmanship. Highly recommended - We absolutely loved it!! We'll be back! We requested a tour guide for an 8-hour nonstandard tour of London for first-time visitors. We were delighted with Peter. We spent 8 hours visiting off-the-beaten-path sights and could have spent longer with him, given his style, encyclopedic knowledge, and ability to find a parking place. We would recommend Peter without reservation. It was a really memorable day, and we thank him profusely. TOUR GUIDE RESPONSE: Thank you so much it was a pleasure spending the day with you both - hope you enjoy the rest of your trip!